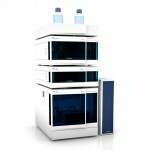 This system features a AZURA P 6.1L HPG pump, an Autosampler 6.1L, a column thermostat CT 2.1, a DAD 6.1L UV/VIS detector with 8-variable UV measuring channels from 190 – 1000 nm, as well as a Tablet PC with AZURA Mobile Control. It is the UHPLC system with a backpressure range of 1000 bar. It perfectly fits the demanding needs of a method development system, as well as the robust fitness of a routine analysis machine. The DAD 6.1L features a novel light path and flow cell architecture with improved handling and excellent performance. The frontal lamp and cell change ensures easy and secure maintenance. The temperature controlled optical bench minimizes signal drift. The wide flow cell selection allows the DAD 6.1L to be easily adapted to your needs.. 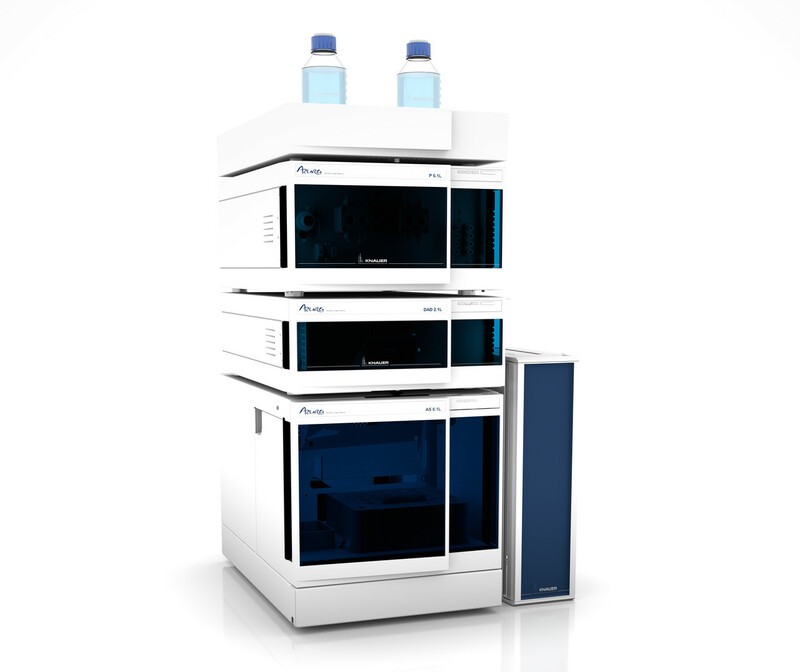 The Autosampler 6.1L can inject 0.1 – 5000 µl to have a large flexibility. Using standard vials or two microtiter plates will give you a maximum sample capacity of up to 768 samples or 108 vials.